Because every person and injury is unique, the type of regenerative treatment, the number of sessions, and duration of treatment(s) will vary from case to case. 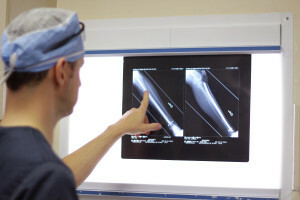 Meier Orthopedic Sports and Regenerative Medicine will design the treatment plan that is best for each individual case. For more information on regenerative medicine treatments for orthopedic conditions and whether prolotherapy, platelet-rich plasma (PRP), or stem cell treatments are right for you, contact Meier Orthopedic Sports and Regenerative Medicine today at 310.736.2793, or schedule a consultation online. Q: How many regenerative therapy treatments or sessions will I need? A: The type of treatment and number of sessions will depend on several factors, such as the nature of the injury, the form of regenerative treatment, and how well you respond to the initial treatment. Depending on the injury and extent of damage, some cases may require multiple sessions for the treatment. Q: What types of payment does MOSM accept for prolotherapy, platelet-rich plasma (prp) and stem cell therapy treatments? A: Meier Orthopedic Sports and Regenerative Medicine accepts cash and all major credit cards for regenerative medicine treatments. Personal checks must be delivered a minimum of two weeks before the date of the procedure to ensure that payment is properly credited. A: The cost of treatment will range according to several factors. For example, a course of prolotherapy may require 3-5 sessions. The number of sessions can depend on the extent of the injury and how well each patient responds to the treatment. A down payment of at least 1/2 of the procedure cost will need to be collected to ensure your time block is saved and preparations for the procedure may be made. In the event your appointment procedure needs to be cancelled or rescheduled within 48 hours or less, a late cancellation/rescheduling fee will be applied. This fee will be deducted from the down payment that was collected when scheduling your procedure. In the event you decide to reschedule your procedure, the appropriate fee will be deducted and another appointment may be made. Learn more about prolotherapy from wikipedia.org. To learn more about the regenerative medicine services at our regenerative medicine clinic, contact our offices today at 310.736.2793 to learn more and schedule an appointment. Next, read about stem cells for orthopedics and sports medicine.